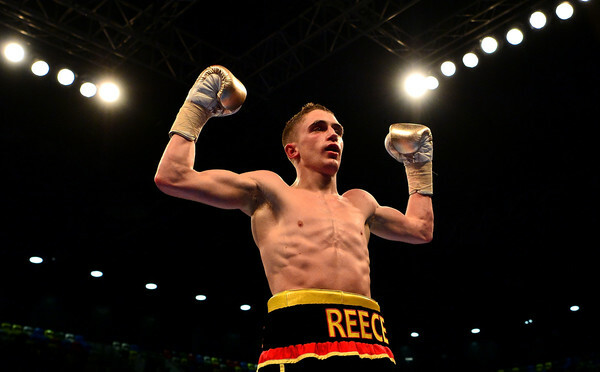 Reece Bellotti has warned Ben Jones to be careful what you wish for as he promises another powerful display in the first defence of his Commonwealth Featherweight title at The O2 tomorrow night, live on Sky Sports. Bellotti won the crown in stunning fashion in a thrilling fight against defending champion Jason Cunningham with a sixth round stoppage win at York Hall in October. Bellotti defends the strap for the first time against Jones, who Cunningham beat to win the title – and he wants to shut the experienced Crawley man up after Jones and his gang irritated Bellotti on social media. “Ben, his team and fans were quite persistent on Twitter goading me into taking the fight calling me rubbish,” said Bellotti. “I don’t really get too involved so I said to Eddie Hearn if it makes sense I’ll take the fight no problem. “He’s been around for donkey’s years. It’s one of the reasons the fight made sense to me and the team, to fight someone with his experience. It’s something I need to gain as I go along. He’s been in with the likes of Lee Selby, Stephen Smith and other tough fighters. He knows how to deal with certain things in a fight which I might not be used to so it’ll be another test. “I haven’t seen the Jones vs Jason Cunningham fight. To be honest, I’ve been trying to fight that fight for quite a long time now. It would have helped me prepare for Cunningham and now for this fight but I can’t find it anywhere! That’s his most recent fight – I’ve spoke to a few people who were there, it could have gone either way. Sounds like it was a close fight but it’s only opinions. Bellotti’s clash with Jones is part of a huge night of action in Greenwich as unbeaten Cruiserweight talents Lawrence Okolie and Isaac Chamberlain settle their ‘British Beef’. Rising Essex force Ted Cheeseman faces a real step-up in international class against a familiar face in Carson Jones, the Oklahoma man who twice met former Welterweight World ruler Kell Brook and Brian Rose, and won on his most recent visit, stopping Ben Hall last November and comes into the fight after facing modern great Antonio Margarito in September. Team GB Rio Olympian Joshua Buatsi laces them up for a fourth time in the paid ranks, Paul Butler gets valuable rounds as he hunts a shot at the WBA World Bantamweight crown, former World title challenger Charlie Edwards looks to get back on the road to major honours, and Felix Cash is full of confidence after moving to 7-0 with a second successive first round KO win last week and is looking to land a first title shot at Middleweight in 2018. Limited tickets remain on general sale at www.theO2.co.uk priced at £40. Face value tickets for February 3 are available from http://www.stubhub.co.uk/matchroom-boxing-tickets/ . StubHub is the official ticket partner and marketplace of Matchroom Boxing and Anthony Joshua.